A strong U.S. dollar has stymied gold, but global growth concerns and other broad market worries could give the precious metal a boost. With fourth quarter earnings season in full swing, stocks have started January on the upside while spot gold fell below the $1,300 price level–a key technical indication that the precious metal is struggling to move past this resistance level. 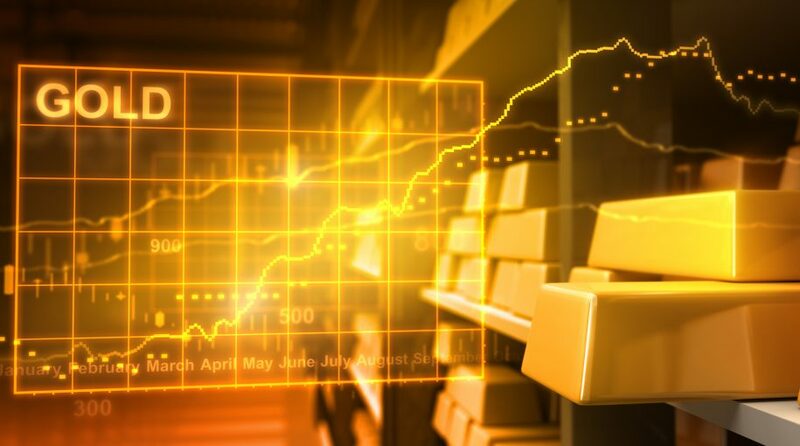 “With the equity markets coming up once again, we are seeing a lesser need for safe haven assets such as gold and yen,” said David Meger, director of metals trading at High Ridge Futures. “As a result, we are continuing to see a slight retracement off of the psychological $1,300 resistance level,” Meger added. However, a confluence of the aforementioned market worries could trigger gold prices as investors seek to the precious metal for safe haven options. After four rate hikes in 2018, the Federal Reserve pausing interest rates in 2019 could also result in a weaker dollar and stronger demand for gold. “Right now, there is a lot of insecurity about the stock markets, global economy and trade,” said Miguel Perez-Santalla, vice president of Heraeus Metal Management in New York.